In case you need a friendly reminder, Father’s Day is approaching once again. On June 17th, millions of dads will wake up to ties, cards and decorative beer mugs for them to drown their unspoken gift disappointment sorrows with alcohol in. But not your dad; not this year. This year, you are going to give dad the gift of gaming. In trying to help all sons and daughters with this task, I was shocked to discover that there are actually quite a few good games for dad available. While you can’t go wrong with classics like “Call of Duty,” “God of War,” “Uncharted,” or a genuine full-size arcade cabinet of “Cabella’s Big Buck Hunter,” these are the ten titles that I feel most dads would want most on their big day. If you’re dad’s anything like mine, he can catch a Sergio Leone movie or “Unforgiven” rerun on TV with frightening accuracy and consistency. 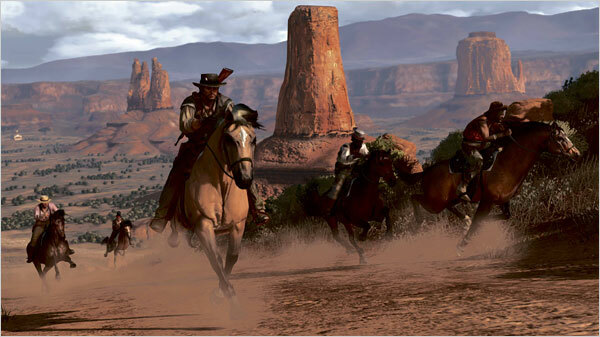 So what better gift than what is far and away the best western game ever made? Whether it’s ropin’, ridin’, thievin’ or shootin’, your dad won’t need the letter “g” if you give him the game that lets him freely roam the west and re-enact his favorite moments from the great western genre. To make the gift even better, pack it in with the “Man with No Name Collection“, or the first season of “Deadwood” to insure that you put your dad in a deadly entertainment cycle that will be driving mom crazy for months to come. This is just a gimme. Featuring over 500 cars (well over half of which most normal people will never see with their own eyes) and an almost endless amount of customization, tracks, game options and other extra content, “Forza 4” is simply the greatest racing game ever made. Even if for some reason your dad isn’t a car nut (the odds aren’t great there), “Forza 4” is a game that is having so much fun with its subject that it basically becomes impossible to not get swept up in it. Watches always make a great gift for Father’s Day, so check out the new Automatic collection of watches from Kenneth Cole. They sent us the KC 1631 model to check out and we loved it. The Automatics are truly unique as they offer exposed gears on both sides of the watch. Our model had a black band and a large face that highlighted the skeleton dials so it definitely grabs attention. Yet it’s stylish without being gaudy. The watches also feature a self-wind function that automatically powers your watch by the motion of your body. No batteries are required. These watches make a great gift for the dad who appreciates style and also wants something new. The Automatics are unlike anything else in his collection. This applies to you as well. Watches make great accessories, and having something unique yet elegant will give you a great option for everyday use and also nights on the town. Check out our Father’s Day Gift Guide for more great gift ideas, including more watches and plenty of gadgets. Watches of course serve a utilitarian function, but for many of us a watch is also a fashion statement. Some men prefer traditional watches, while others prefer something more stylish. Then there are those who look for watches to compliment their wardrobe for a particular occasion. You might wear a classic watch at the office, but turn to something bolder when hitting the town. Phosphor sent us their new Appear watch, and as you can see above it has a unique and aggressive design. 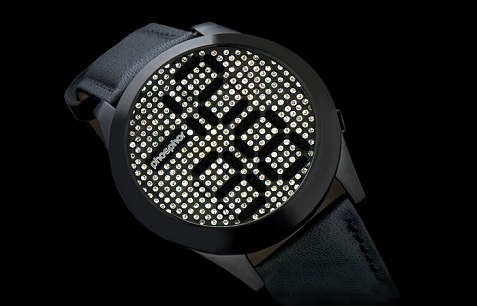 Their new line of Phosphor Appear watches smartly display the time on miniature-sized rotors adorned with Swarovski crystals that revolve to reveal numerical time using Micro-Magnetic Mechanical DigitalTM (M3D) technology. For a more dramatic look, the time can be completely hidden behind crystals, until the button is pushed to reveal the colored, time-displaying crystals. This is a watch that helps you get noticed, and it will be a great conversation starter with women. Many dating experts recommend wearing an accessory that can spark a conversation, and the Appear definitely fits the bill. The Appear line offers two men’s style choices with black leather bands – one with a stainless steel face frame and one with a black face frame starting at $199. Both versions are striking yet also elegant with the black band. It may not fit every occasion, but this watch will likely be a great addition to your collection. 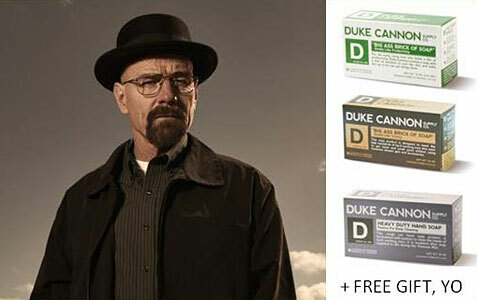 It will also make a great gift for the right dad on Father’s Day.